When the ICAO ATC team was reduced from six to three there was actually someone who said that the project was near its end. True, we had passed two big phases – part one and part two. But to say that we by that had reached the end is very far from the truth and I will here give you a quick look into what we are doing now and something of what lies ahead of us. We are right now busy training one last controller for APP and from next week training will also start for the last controller for ACC. 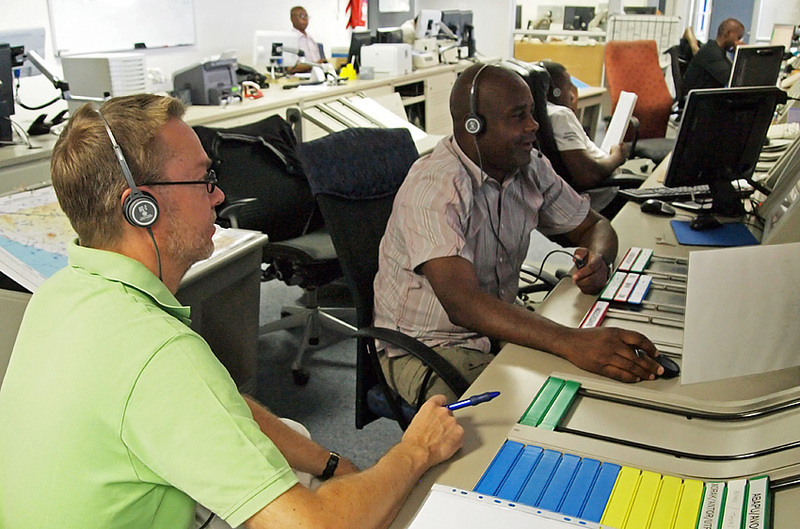 ICAO will assist NDCA (Namibia Directorate of Civil Aviation) in the design and implementation of a training and validation program for future approach and area controllers. 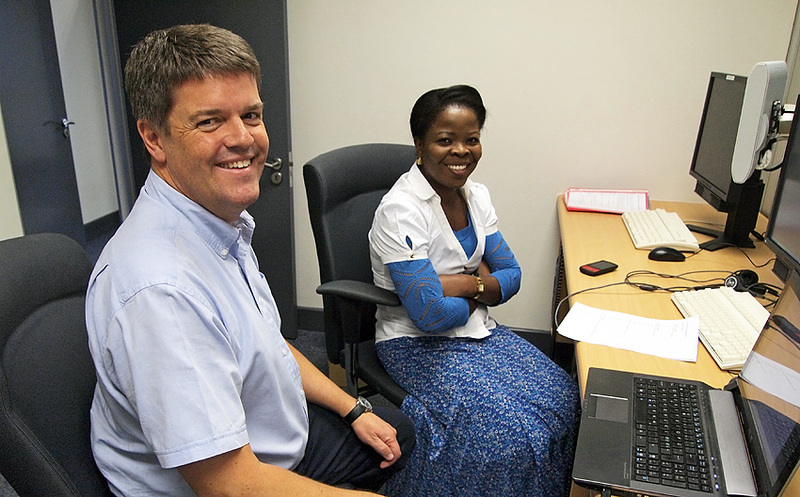 With ICAO assistance the new Training Officer, Mrs Sarafina Maxwanu has produced a training and validation program for ACC and is in the process of producing a similar program for APP. In these new programs the simulator will of course be used. 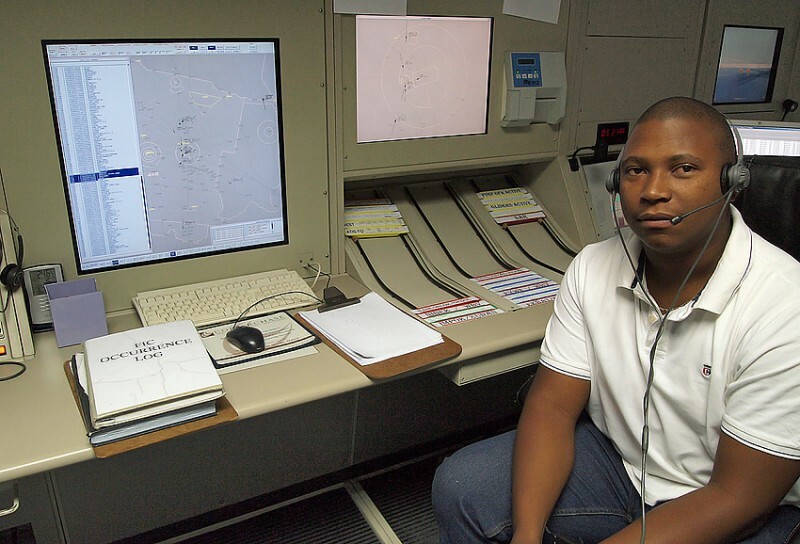 Two young controllers, Mr Mikhail Mannetti and Mr Josephat Mokaxwa are being trained to become simulator experts with a deep knowledge in handling the simulator including exercise preparation and pseudo pilot handling. 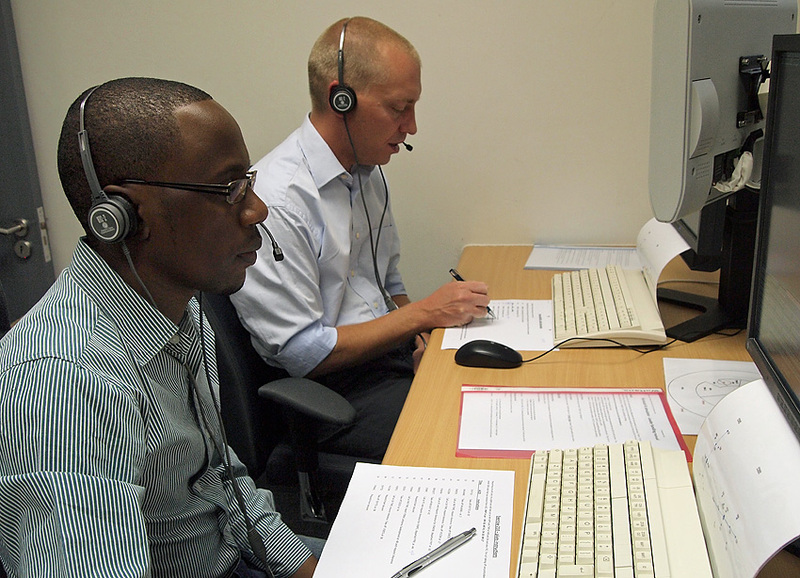 Above Mr Mokaxwa is piloting for the testing of an exercise while Johan is piloting for the validation training on APP. 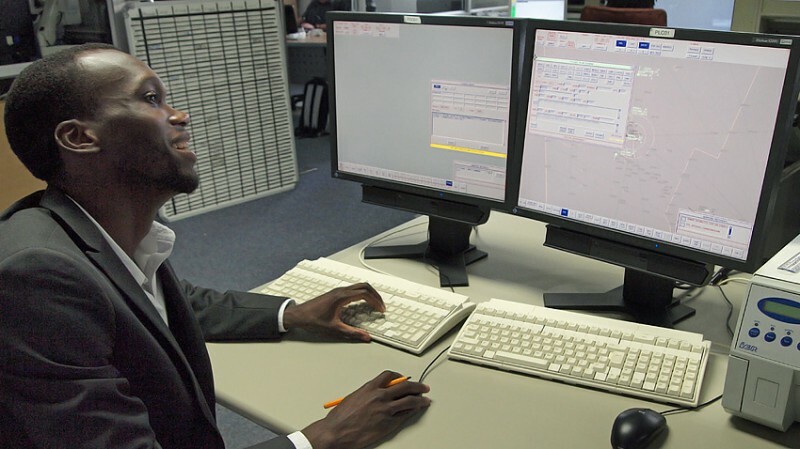 Above Mr Mannetti is testing a newly produced simulator exercise for ACC. 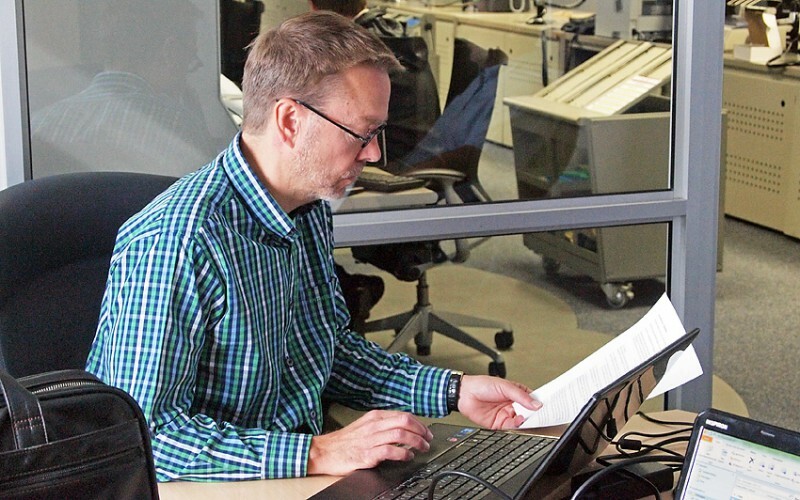 …and to a new ATS Manual by Mr Ben Hallberg. …FIC and at the towers of Hosea Kutako, Eros and Walvis Bay but before it can be operational there is some work that needs to be done. There is also development to the Eurocat-X in Namibia. 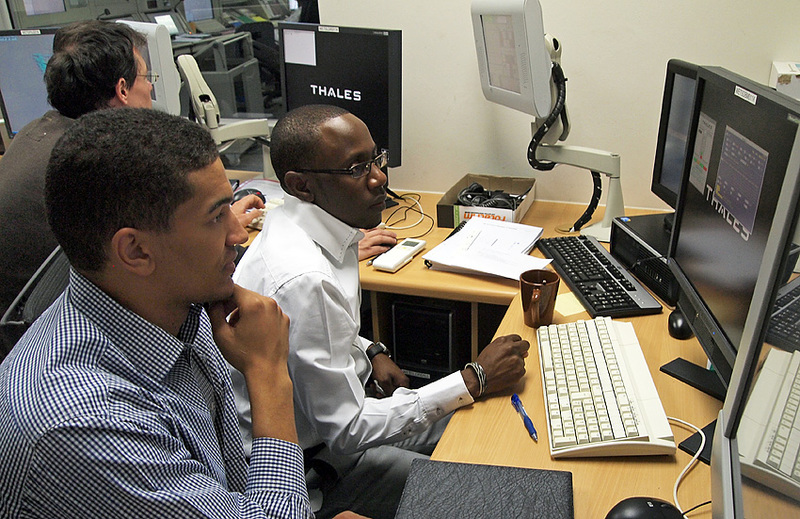 More WAM stations are installed and this week we have two representatives from French Thales introducing ADS-C in the Eurocat-X. Below training for ADS-C. 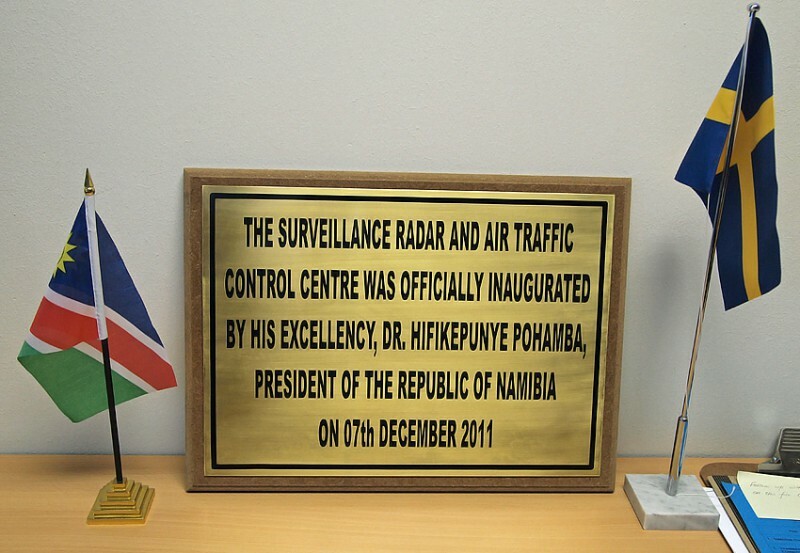 This will be useful especially when Namibia is expected to start Oceanic services in the airspace to the west. 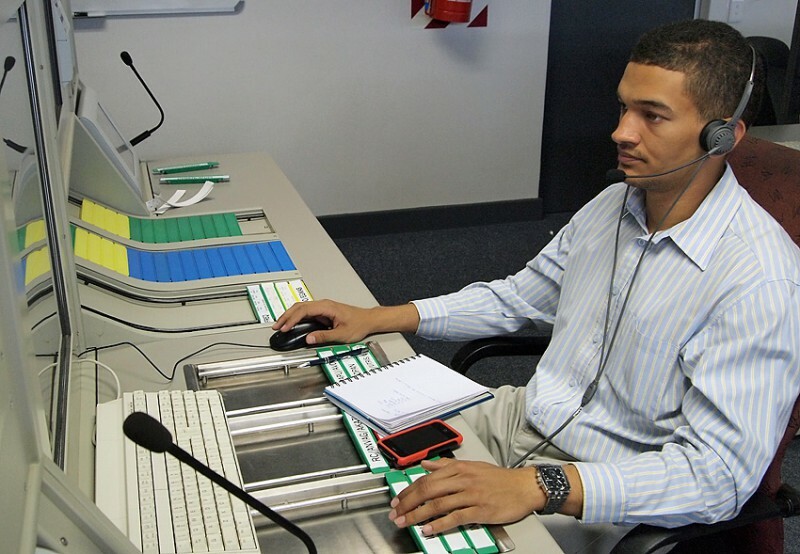 Recently ATC was introduced at Lüderitz Airport with the assistance of Johan Timius. 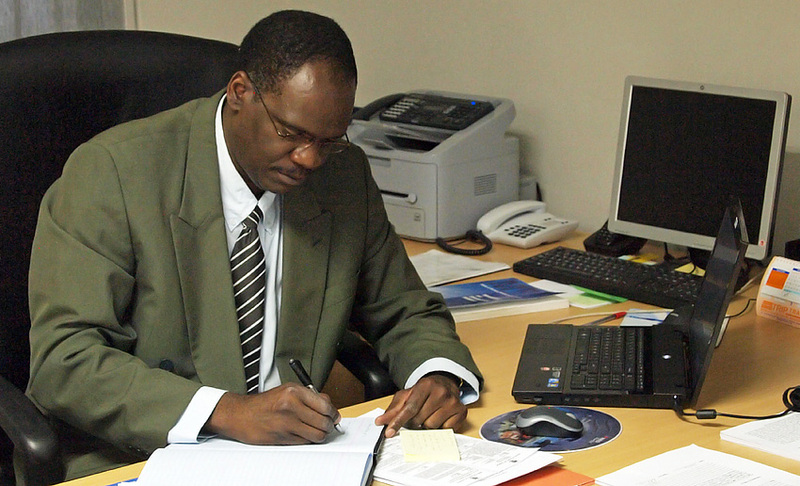 More airports are waiting to be controlled – Keetmanshoop, Swakopmund and Rundu. Walvis Bay is one of the most important airports in Namibia. For ATC the Eurocat-X and WAM will be introduced to make surveillance control possible. This is a big project including work on the Eurocat, airspace design, development of procedures, development of a training and validation program and much more. Very soon the construction of a new building next to the ATC Center will start. It will be a building for the AIS but also for a new ATS Academy. A suggestion for training organisation is in place and soon the work will start to prepare for everything needed like syllabus, simulators, training materials and a lot more. 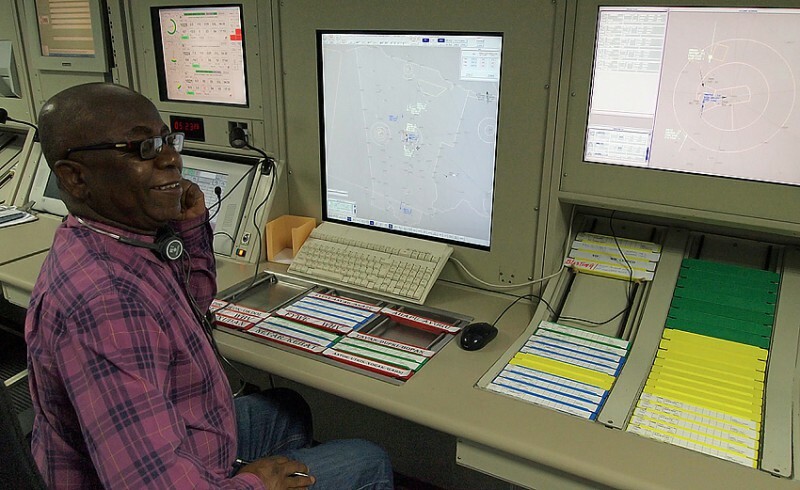 The CATCO, Mr Victor Likando has got more plans for the future and we do believe that ICAO ATC Experts will have a role here for yet some time. 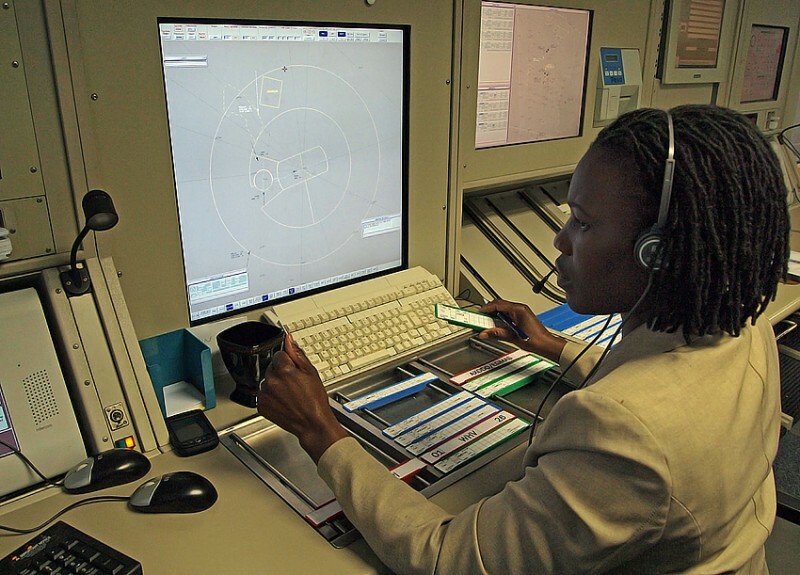 One example can be the Namibian contributions to the ICAO ASBU (Aviation System Block Upgrades) where 10 of 18 modules have been selected already for 2013.